Wearables used to be everywhere in the first half of 2015, but this year, the smartwatch scene has been unusually silent. It's as if all major smartwatch makers are stuck in limbo, trying to figure out how to turn those stylish, but inconsistent gadgets of theirs into truly compelling purchases. Although this can't be very good for the wearables market, the upside is that small-time developers can seize the spotlight as the bigger companies lay quiet and introduce a disruptive take on familiar concepts. Wearable innovation isn't only in the hands of major corporations like Samsung and Apple. Henlen is one such example. The team of three designed an objectively good-looking smartwatch with interchangeable cases – this makes swapping bands a much less fiddly process, and you can simply re-style the the watch when you eventually get bored with its looks. The innovation isn't just surface-level, however. 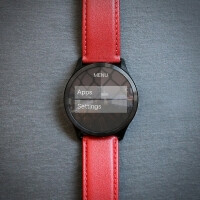 Henlen re-worked Android Wear's UI to make it work faster and show more easily comprehensible information at a glance. The team adhered to a self-imposed three second rule, which states accessing relevant information shouldn't take any longer than that. The interface is re-designed with this philosophy in mind, so users should expect the convenience of having their info just a swipe and tap away. The Henlen smart watch is being funded via a Kickstarter campaign. Check out its page for more information and pledge what you will if you want to support the product.